I made these cute invitations for my son’s up coming birthday party. He is having a pizza party at a local pizza chain. I didn’t want to make traditional birthday invitations with balloons or present rubber stamps. 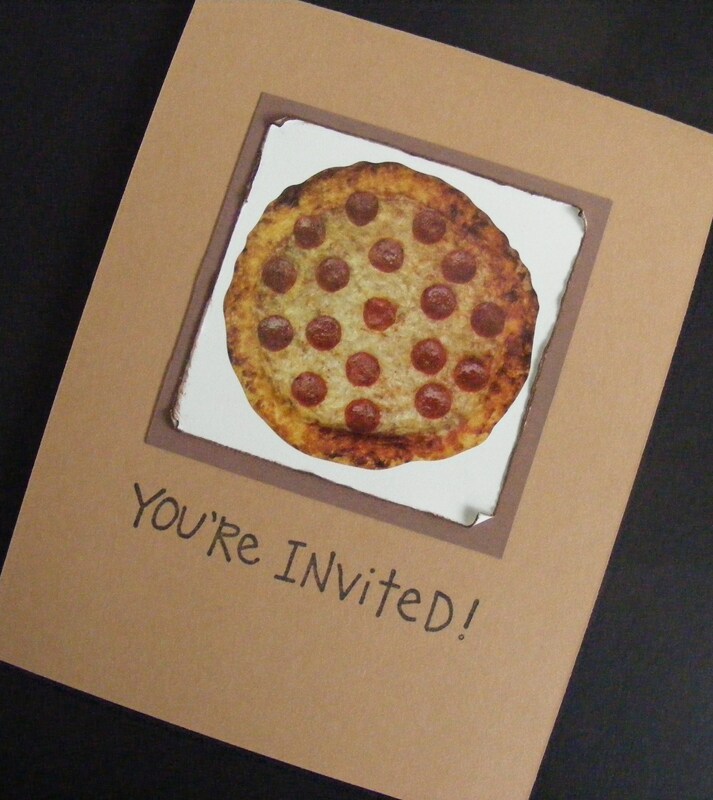 I wanted you to know it was a pizza party as soon as you opened the envelope. So, I found pizza stickers at my local craft store and adhered them to white cardstock. I distressed and inked the edges of the white cardstock before I mounted them on brown cardstock. Then I adhered it to the carmel colored cardstock. I used The Angel Company stamp set “You’re Invited” and “wha-la!”… simple, quick, and cute invitations! This entry was posted in Cards and tagged birthday, party invitations, pizza, Rubber Stamps, Stickers, The Angel Company. Bookmark the permalink.